and is a certified graduate of Grof Transpersonal Training and Eupsychia Institute’s Psycho-Spiritual Integration programs. Byron has trained, studied, and worked with shamans, healers, and psycho-spiritual teachers from many parts of the world. As far back as the late 1980’s he began developing a unique program called HoloShamanic Integration™ in response to clients’ requests for a deeper and expanded understanding of who they profoundly are, and to support their learning to function in the practical world from that deeper place. 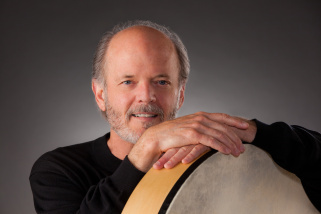 In 2007 Byronbyron-frame-drum-full-res developed “The Shaman’s Heart Program – The Path of Authentic Power, Purpose and Presence” and offers training and workshops using various formats of that program. This brief overview is just a small sample of the work he has done in this field. Byron’s music career spans 5 decades and as a professional drummer and has played on several gold and platinum albums (most notably Kenny Rogers’ album “The Gambler”). He has performed at top concert venues including Carnegie Hall, The Greek Theater, The LA Forum, Universal Amphitheater, The Grand Ole Opry, and Wembley Arena (London), as well as headliner showrooms in Las Vegas, Reno, and Lake Tahoe. Byron also performed on The Tonight Show, The Grammy Awards, The American Music Awards, CMA Awards, ACM Awards, Fantasy Island, Hee Haw, Good Ole Nashville Music, and many others. 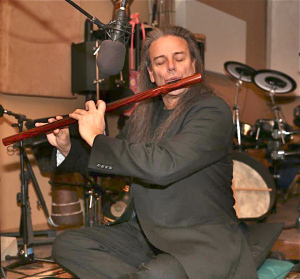 Since 1997, Byron has been producing solo CD projects and collaborating with other artists including Steve Roach, Mark Seelig, Ron Oates, and several other musical guests. The diversity of albums he has been involved with is quite impressive, with a number of them receiving awards, nominations, and chart success. Which brings us to his latest release, Inner Rhythm Meditations. Here, Byron shares some personal reflections on the making of this album: “For several years I’ve been wanting to create an album of relaxed tempos, easy meditative rhythms and compositions – a dramatic departure from the deep-trance oriented, concentrated sonic driving of the tribal-shamanic music and sounds that have primarily defined my music over the past 18 years. One challenge I encountered was how to create such an album and still retain the power, depth, presence and trance-inducing qualities of my drumming and production style. I began experimenting with periods of meditation (both sitting and walking) followed by sessions in my studio. After carving out some rough mixes of these percussion parts, it became clear to me that I wanted to add guitars and flutes as my primary accompaniment. And in Peter Phippen’s words: “I do not hesitate to say that this is the finest recording I have ever played on.” In addition to being known worldwide for his exceptional flute playing, Peter has previously been mentioned here on Music and Media Focus for his work as a co-producer, bassist, and percussionist on an album by Ann Licater entitled Invitation From Within. 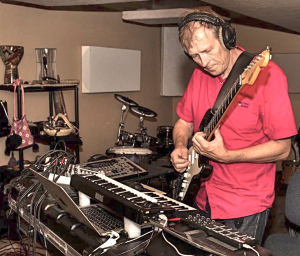 While Erik is referred to above as a guitar player, his role is actually more extensive and includes electric guitar, guitar synthesizers, E-bow guitars, electric bass, and keyboards. Often times, his guitar work is not what you would expect, or even recognize as “guitar,” but is quite ambient and textural. One thing I really liked was the skillful way that Byron integrated a variety of drums into his rhythmic grooves in the songs. 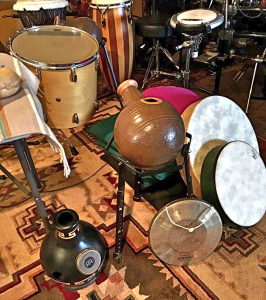 These instruments include frame drums, bass drums, talking drum, udu, and clay pot, that produce an exhilarating and exotic mix of percussive patterns and timbres. The pace picks up a bit on track 3, “Patterns Of Awareness,” as Byron’s drumming increases in tempo and presence, while the song retains a spacious quality from the flute and synthesizer background. While there are only 6 songs on the album, they are quite lengthy, ranging from 9 to 15 minutes, which is just right for enabling the listener to lose themselves… or find themselves, as the case may be, in its unfolding. Track 4, “A Perfect Place,” features Erik on the E-bow guitar. For those who may not be familiar, an E-bow is a hand-held electronic device that when placed over electric guitar strings creates sustain, similar to using a bow on a violin or cello. It can be quite an ethereal sound, especially when enhanced with effects like reverb and echo. On “The Awakened Heart,” an enchanting combination is the exquisite interplay of a gently percolating electronic sequence and Byron’s earthy drumming over a spacious sonic tapestry, blended with Erik’s repeating arpeggiated guitar notes, and the most peaceful flute passages imaginable. The interestingly titled “Presence Of Longing” brings the album to a tranquil conclusion in this extended 15-minute piece that is the most meditative track on the album. Here, Byron’s drumming is totally shamanic, providing a simple heartbeat, rather than a more intricate pattern as heard throughout the album, while celestial synthesizers and airy flute drift cloud-like in this expansive dreamscape. I mentioned earlier about Byron’s work with altered states and this piece certainly leaves the listener in one. A central theme that is present in both Byron’s psycho-spiritual work and his music is the role of byron-w-frame-drum-2-edit-copy“intention.” That is something which was strongly felt as I listened to his percussion work… a clear intention behind it that goes beyond merely keeping the beat, and is consciously focused on creating a state of being in the listener. 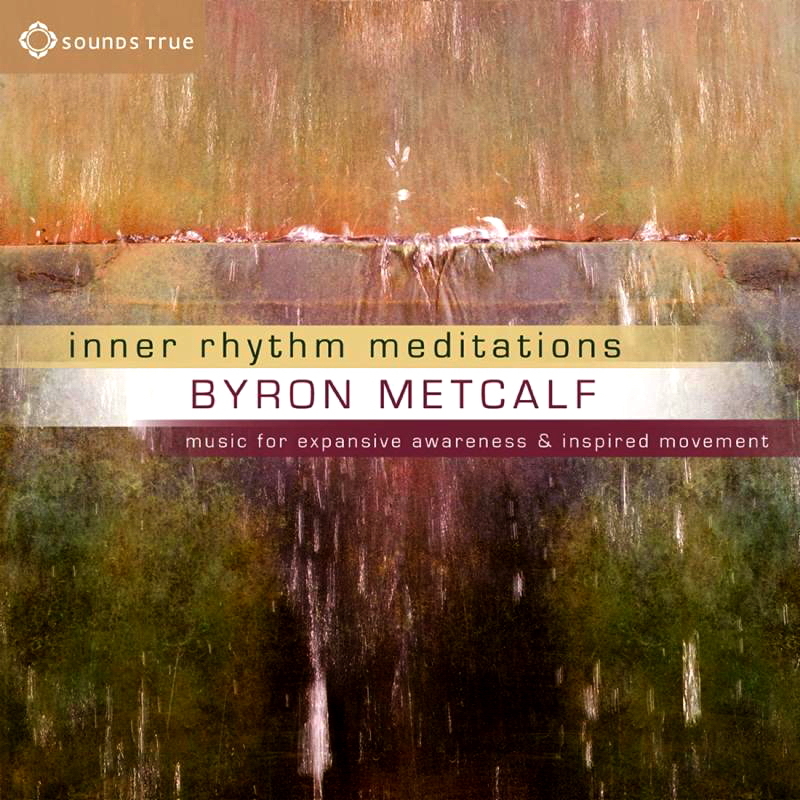 Byron Metcalf’s drumming speaks in a language that is understood by the body and the soul, creating an inner resonance which is visceral. and reprinted on Ambient Visions with permission. 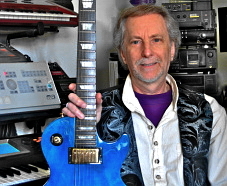 Michael is a San Francisco Bay area music producer, recording artist, and journalist with over 30 years’ experience writing articles and media reviews for nationally published magazines and more recently world-wide on the internet. He has been the music editor for the Los Angeles-based Awareness Magazine for the past 7 years as well as a free-lance journalist/ publicist, and editor of Music and Media Focus. As a music industry professional, Michael currently belongs to The Recording Academy and he is a voting member of The GRAMMY’S.